The Lower Mississippi River is trapped behind levees, inaccessible to most of the people who live on its banks. At the Lower Mississippi River Foundation, we believe that by connecting people to their waterway we can improve the health of the river and the lives of those who live in its floodplain. To do this we create opportunities for the people of the Delta to experience the wild beauty of the Mississippi and help us protect it for future generations. We work to create a generation of citizens who are connected to the river and dedicated to its protection. 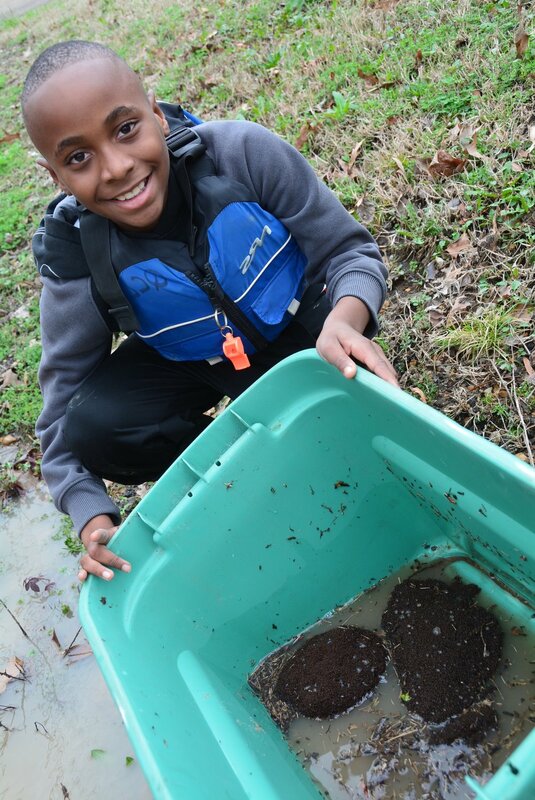 We offer a variety of educational programming to connect kids to their environment. Enjoying the river is only the first step. We create opportunities for people to give back through river clean-ups and advocating for the river's health. It takes all of us to protect the river. Check out some ways you can help do your part! We often rely on generous donation to be able to provide these educational programs to our community. We are so thankful for each and every financial partnership! Volunteering with LMRF is guaranteed to be a quality and fun experience filled with new opportunities! We aim to educate our community on how to best advocate for a healthy, clean river.